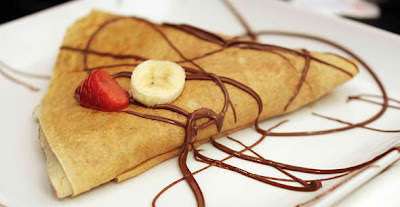 If you would like to try new pancake recipes, then French chocolate pancake is a must try! 1. Mix flour and eggs in a bowl. 2. Stir it very well and add add milk. 3. Wait until the mixture becomes bubbly. 4. Add a pinch of salt, few drops of chocolate syrup and 2 tbsp of butter. 1. Wipe vegetable oil into the cooking pan using folded paper towel. 2. Pour 2 – 3 tbsp. of batter and quickly move pan around to spread it evenly. 3. Let cook for about 1 minute. Flip to cook other side for about 30 seconds. 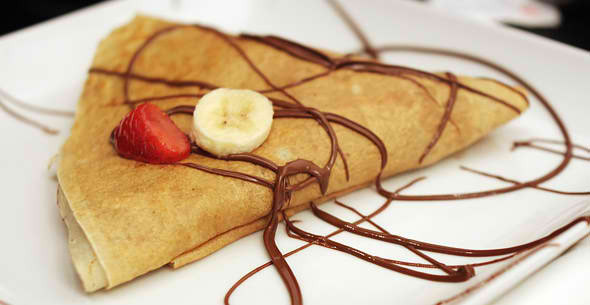 Fold or roll it like a regular crepe. Add some fillings and serve it with chocolate toppings.